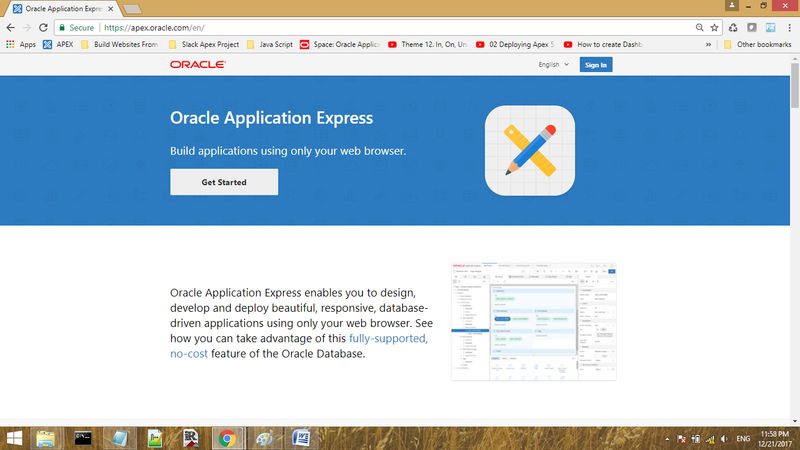 May be you are anxious to try Oracle Apex by yourself. 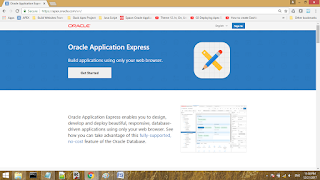 This article mainly presents to you a high way to Oracle Apex. 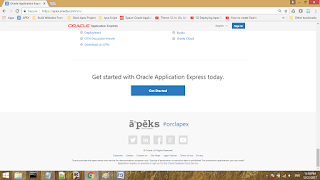 It offers you a free Oracle Apex work space to try it yourself easily and simply. Let's follow the next steps below you will be able to feel and taste the beauty and capabilities of this wonderful technology. 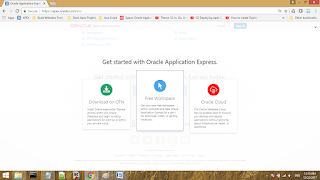 Create a new free Oracle Apex workspace. Hence, i will share all the difficulties i faced and discuss it with you. 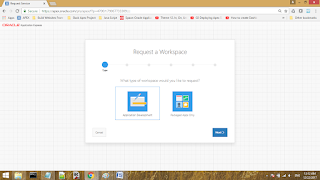 Scroll down to the end of the page & press Get Started Button. 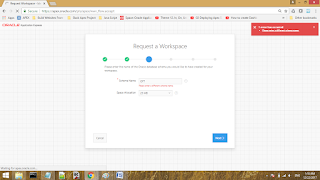 The following page will be displayed > Press Free Work Space. 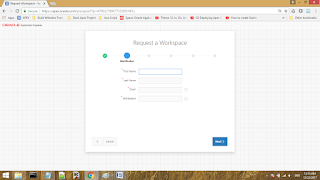 The 'Request a Work space' page will be displayed > press Application Development button as it is set by default. Press the Next Button > the following wizard steps displayed. 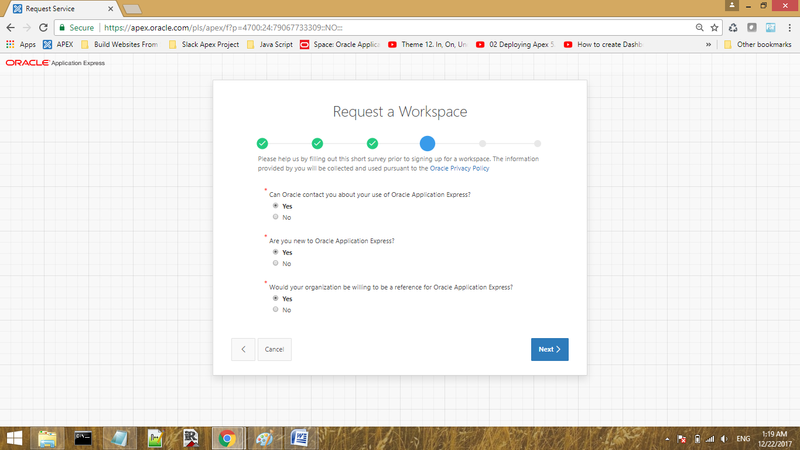 I completed the * required work space fields with the name i preferred but i got the following error since the name of the works pace is not unique. 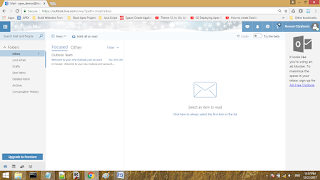 Note: The work space name has to be unique as your email account. 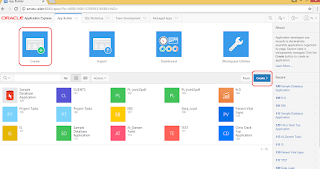 This definitely helps ORACLE to distinguish between your work space and other thousands of its active work spaces. 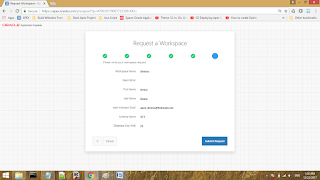 By default, The work space name is capital Letter. The red error message will not disappeared until you rewrite a unique name and press next. 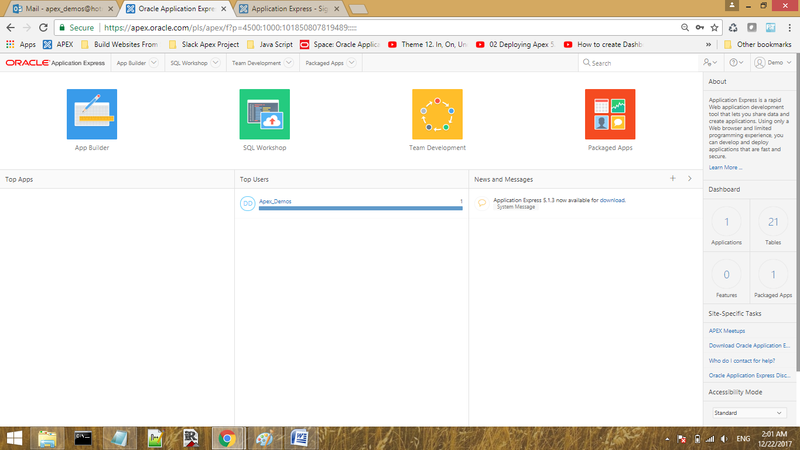 I changed the works pace name as ' Demoo'. 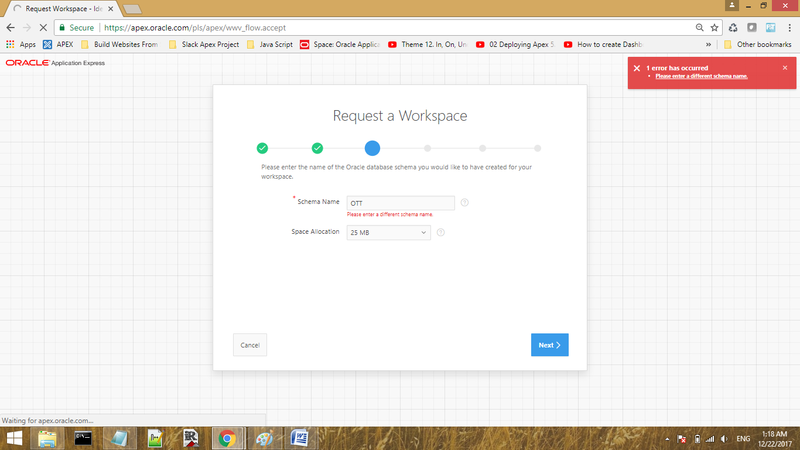 After rename the work space, i noticed that the web page didn't respond to any modified changes unless i press next button. 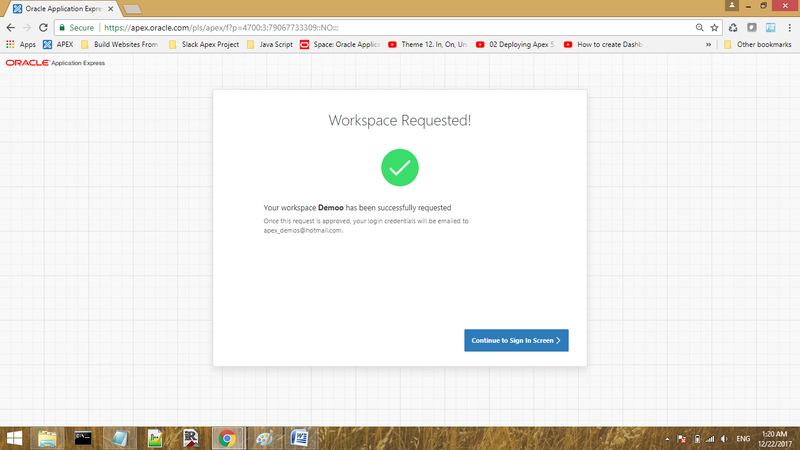 In other words, when i manually closed the red rectangular message box located at the upper right side of the page there is no validation occurred against my new work space name...! 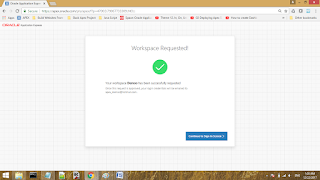 I wonder, why still this red warning message exists under the work space name text box why it didn't disappear ?!! I pressed Next the work space wizard asks for the schema name to build it's default database objects. 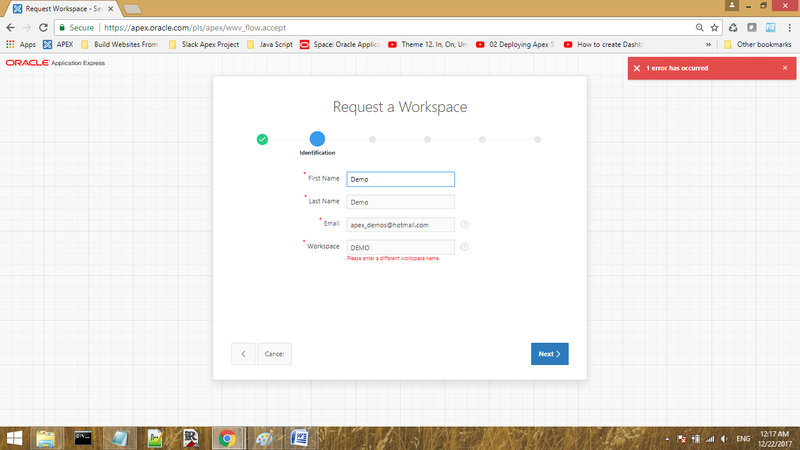 The schema name also has to be unique otherwise you will get an error the same as work space. It has a space allocation of 25MB which is temporary suitable for training, tests and further more for client's demonstrations. 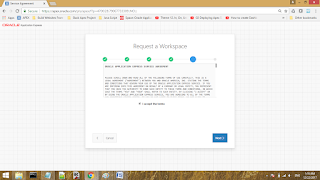 Note: At this stage i encountered problems with my internet connection, my lab had disconnected and the page step disappeared. 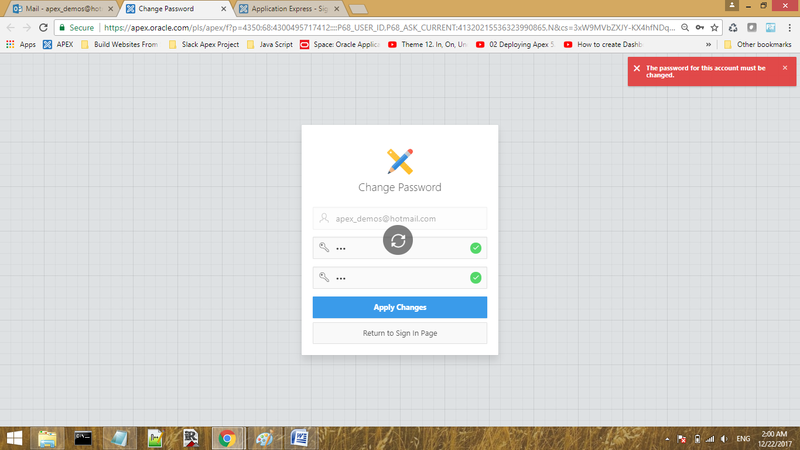 Thanks to Allah, when i refresh the current page i got the current lost step back. 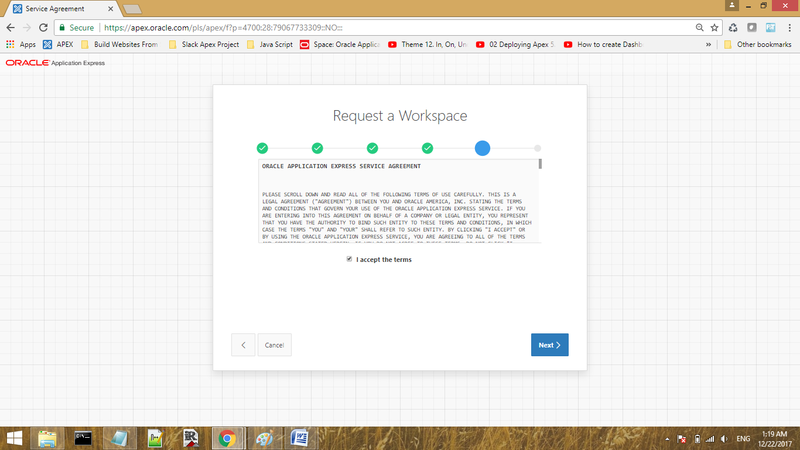 I rewrite the previous schema name i wrote before the internet dis-connection but it was rejected, i don't know why may be the work space consider it invalid. I rewrite another schema name 'OTT' for Oracle Training Tasks then press Next it accept the name and move forward to the next installation step. 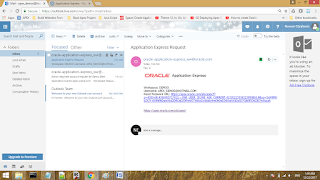 The next wizard step is a survey for ORACLE that gives you the right to accept or reject it. 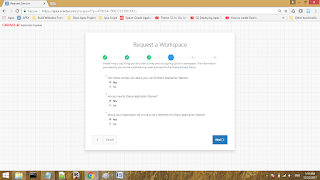 You can read Oracle rules and accept it to go on in creating the work space creation process steps. 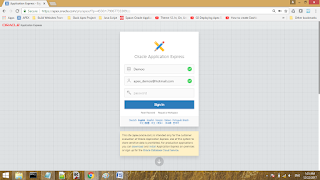 Check your check box preferences and press NEXT button. 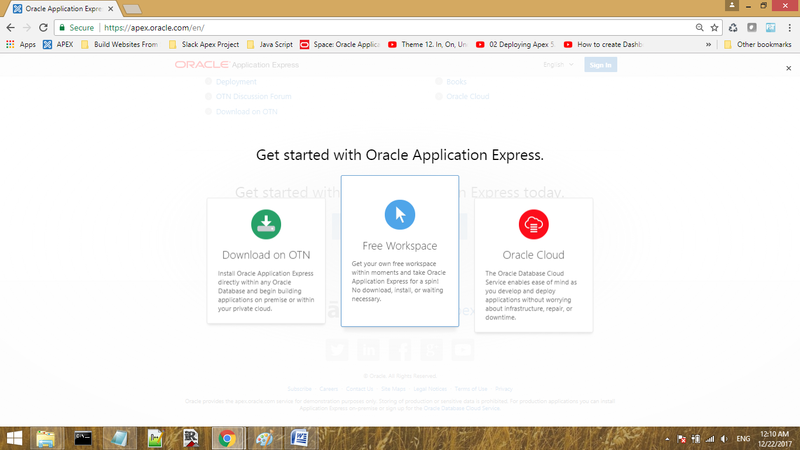 The following screen is just an agreement between you and Oracle you must to check the check box to continue to Oracle Free Work Space. 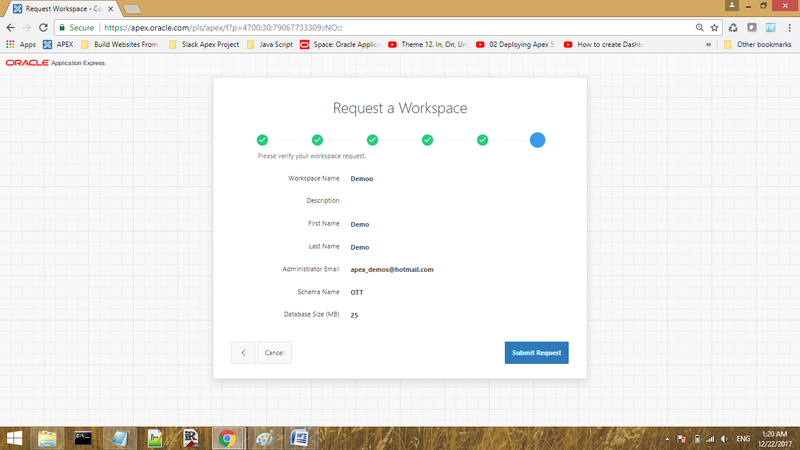 The following screen is a summary screen shoot that summaries all your input data for the work space, schema and other Oracle work space related information etc. 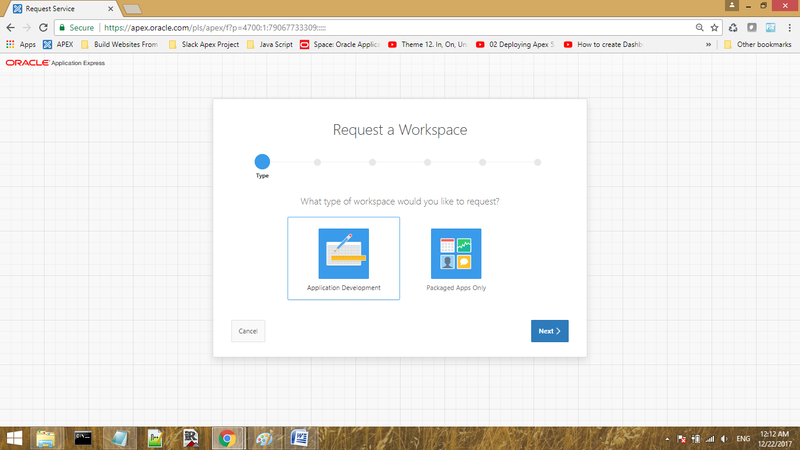 The following screen informs you that you have successfully create the work space. 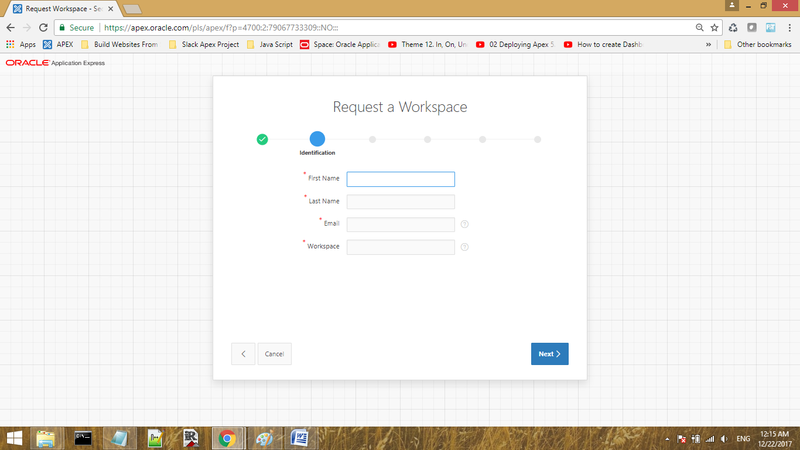 At this stage, when you press the blue button it is supposed to let you set the work space password. 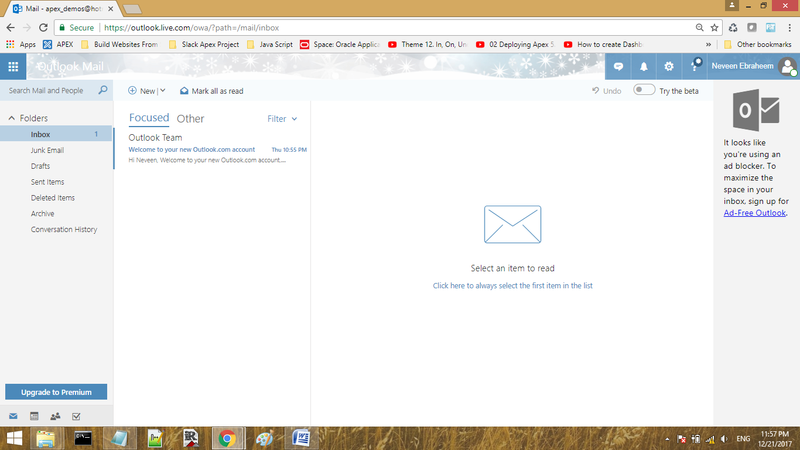 But, once again the internet is dis-connected. 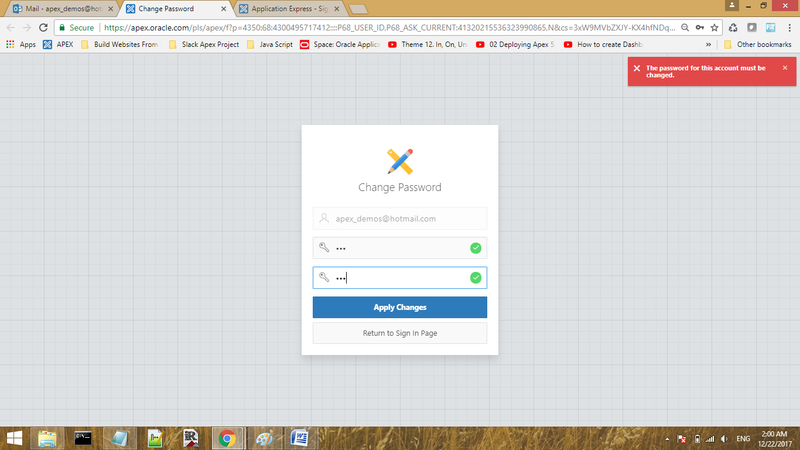 Due to my internet disconnection i faced an issue for missing the setting of my password for the first time. Then i press reset password. Then, set the new password as 'OTT' and conform it as 'OTT'. 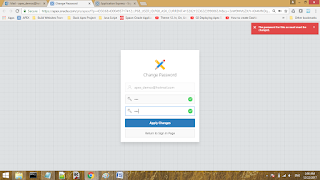 I pressed 'Apply Changes' button. 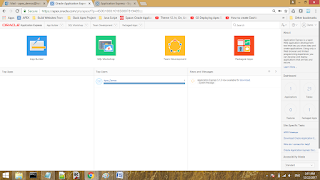 It starts to process the credential as follow.. 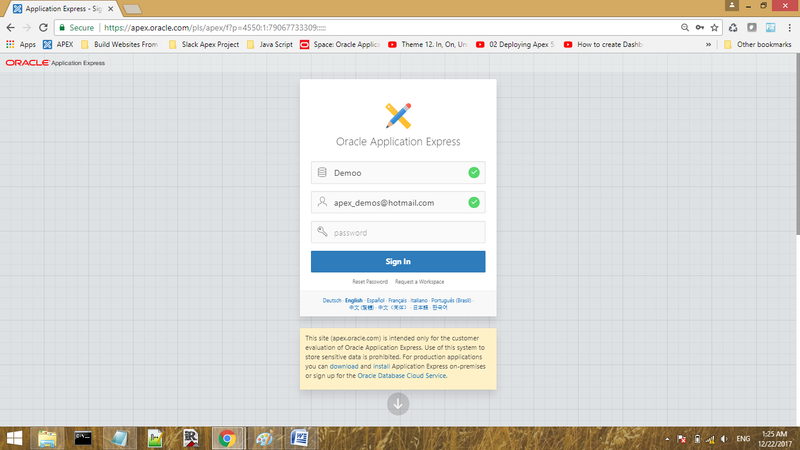 Finally, we successfully log-in into Oracle apex Free Work Space. 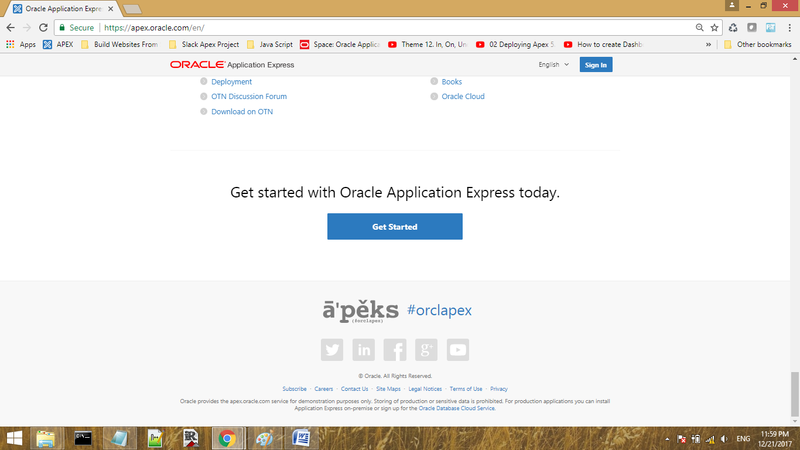 Now, welcome you to Oracle Apex World ...! Now, let's decide your new career path.